It’s the most wonderful time of the year! There’ll be much mistletoeing and hearts will be glowing and customers will be queuing round the block for their bespoke Christmas cards. Christmas is, traditionally, a time for giving but these days it’s also becoming a time for extravagance. People love treating themselves and others at this time of year “because it’s Christmas”. Why not capture that feeling in your cards? One way that’s sure to make your cards the fanciest on the mantelpiece, is foiling. This finishing technique is so luxurious and it immediately makes any print look more indulgent. 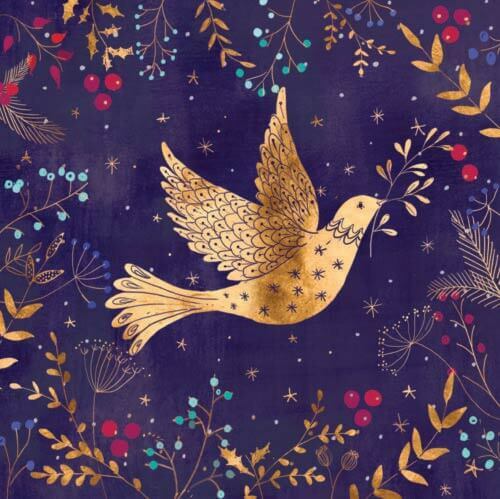 Take this card with a dove at the centre; without foiling, this design might be pretty but nothing special. The little additions of foiling, though, take this card higher. At the other end of the scale, some people prefer a refined, sophisticated look for their Christmas cards. 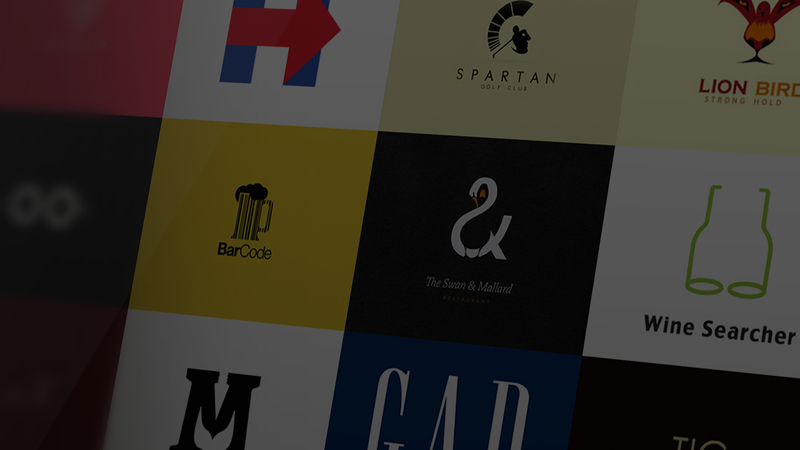 If this is the case, you want to be looking at creating a super simple but elegant design. Emerald Egret Designs clearly knows how to combine white space and flat design to create this beautifully minimalist card. 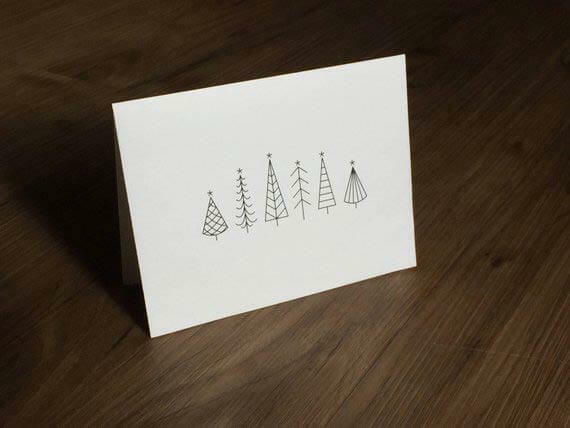 We love how each tree is different and yet each one is unmistakably a Christmas tree. Thankfully, there are ways you can make a card more luxurious whilst also keeping things modest. 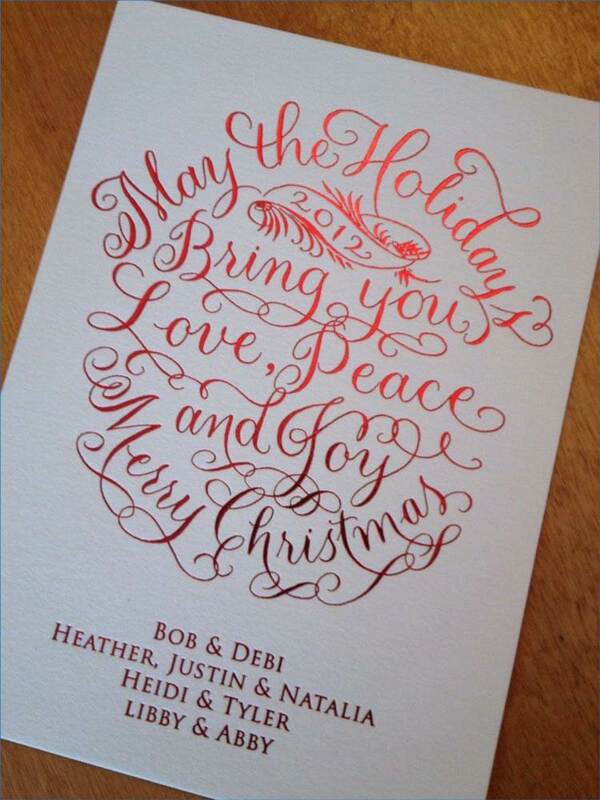 The letterpress technique has a wonderful ability to bring simplicity and indulgence together. This traditional print technique literally presses a plate into the stock to leave behind a debossed imprint of the image as well as the ink. This creates a lovely tactile finish to your print. It works best for designs like the one pictured below with clean lines and a limited, contrastive colour palette. 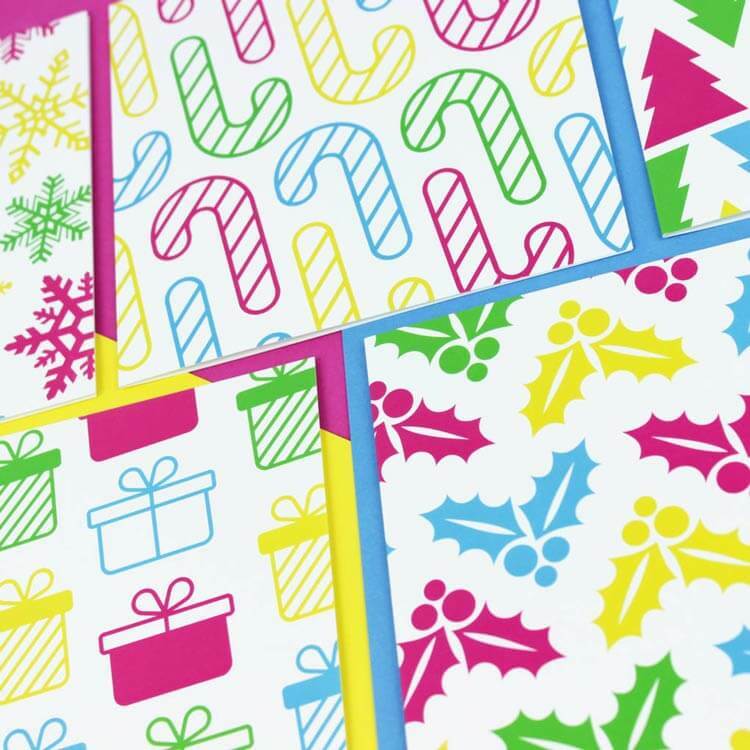 If you fancy doing something special with your Christmas cards but aren’t feeling quite as extravagant as foiling, why not try out a new stock? Use an alternative stock and your card will instantly have a different feel about it. Kraft is perfect for this. The brown paper stock has a very nostalgic feel, especially around Christmas when presents used to be wrapped in a lightweight Kraft stock. Tap into that old fashioned feeling like this designer has with Kraft cards. 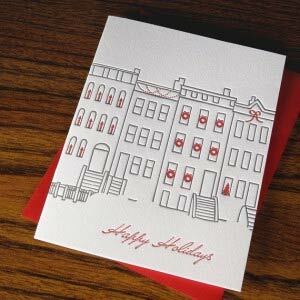 Speaking of nostalgia, another conventional print technique that works really well at Christmas is lino printing. 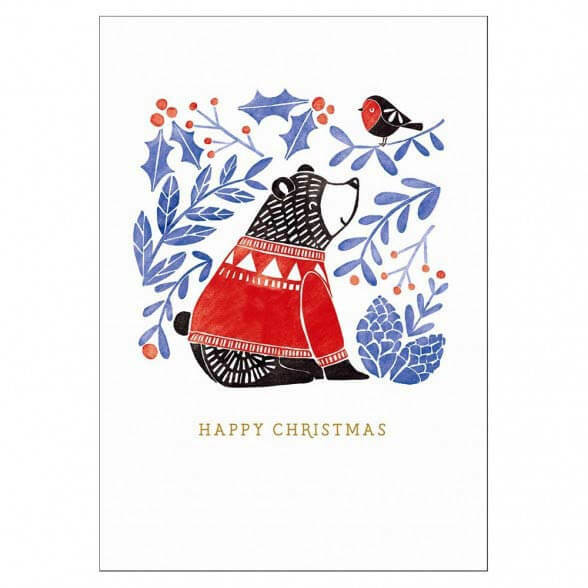 These cute images built up with only two or three colours help evoke those feelings of tradition that come with Christmas. You don’t need to actually lino press your cards if you don’t want to, that could take too much effort if you’re making lots of different designs. However, you can easily simulate the look if you like! Just make sure that your lines are clean and that you only use a very limited colour palette. This card from Utility Design is a great example of a lino style card. If traditional cards aren’t your thing this year, that’s okay! Lots of people like mixing things up these days with a modern colour palette and contemporary shapes. Throw out the old reds and golds. Instead, bring in some bright, vibrant colours with strong, flat imagery. This set from Purple Tree Designs has the right idea. They’ve taken popular icons from Christmas for their basis and then applied this practically neon colour palette. It’s sure the stand out! Another modern alternative is to have fun with different mediums. No, we don’t mean mixing up lots of different textiles like in tangible art. Mixed media artwork in graphic design can still be really imaginative and unique. For example, this old design from Utility Design has overlaid a computer generated speech mark over a photograph. 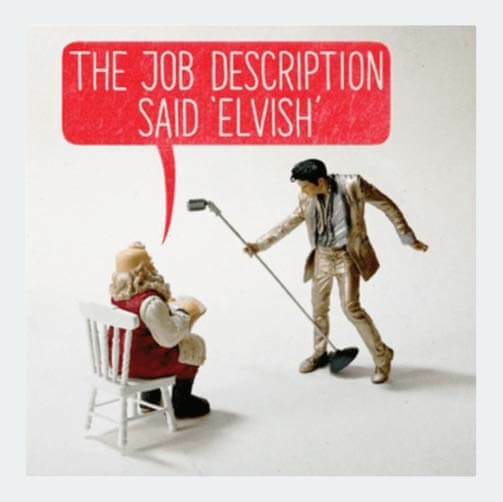 The result is quirky and full of character – perfect for a comedy card like this. So far, all the cards we’ve looked at have involved some sort of imagery in their design. 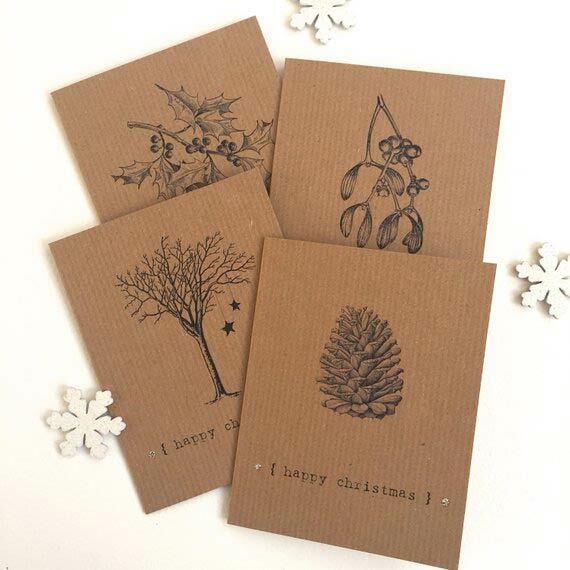 However, there are some cards do such pretty things with typography, they don’t need a picture to look exciting. 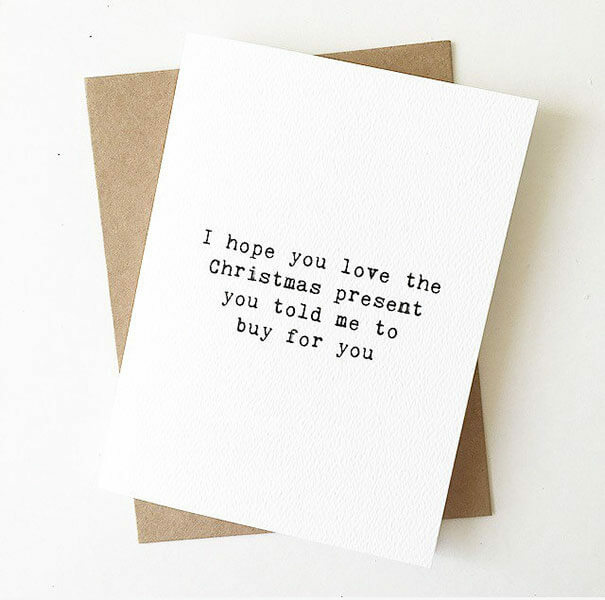 There are so many phrases that get thrown around at Christmas time, it’s not hard to find something to be the basis for your typographical cards. This card shows us that simple designs like this look great when combined with foiling. On the flip side, there’s a whole class of cards that are based in typography but, instead of being flamboyant and elegant, they focus on raw simplicity. These cards choose very basic typefaces and have very little, if anything, going on outside of the text. Like the example below, these cards are perfect for pointing out the ironies in life, the situations that everyone thinks but doesn’t say. If you have a dry sense of humour, these are the cards you need. So, as we’ve seen, going a little bit further with finishing techniques can really pay off when it comes to Christmas cards. 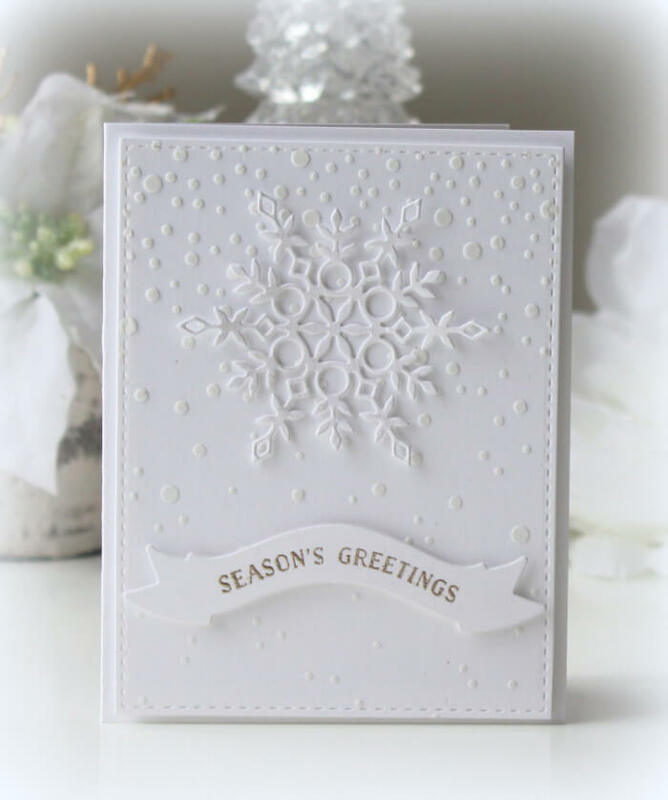 One finishing technique we haven’t talked about yet is that very sophisticated finish – embossing! You can use embossing in all sorts of ways. You can create a textured background like the card shown here. Or, you could create an entire design with embossing, perhaps an elegant typographical design like our 8th card? 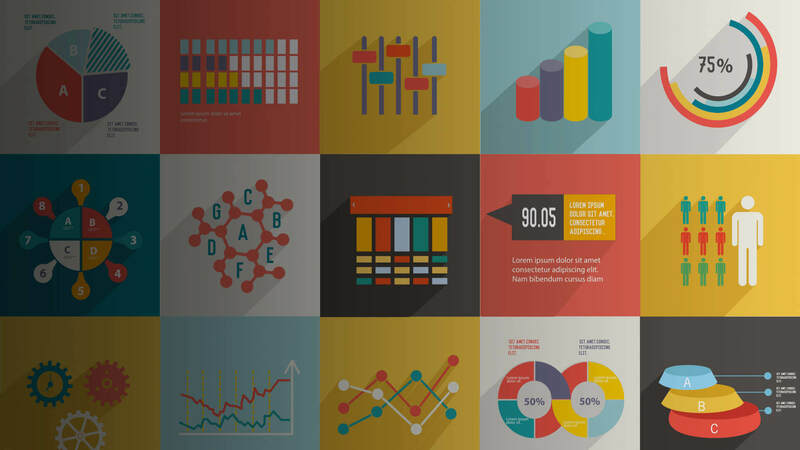 For the last couple of years, geometry has grown to become a really popular design trend. Combining the structured nature of geometry with the more whimsical nature of Christmas creates a brilliantly modern juxtaposition that magically works really well together! This card by Violet Pickles shows us one way in which geometry can be integrated into your Christmas design but there are so many ways you can do that. Take a look at our blog all about geometry to find out more ways to bring this style into your designs. If there is one universal truth that come apparent at this time of year, it’s that cute animals look even cuter in a Christmas hat. When ideas aren’t flowing as freely as you’d like, get some props and have yourself a furry photoshoot. With your photo taken there’s nothing more to do than stick it on the front of your card with some gloss lamination to bring out the colours and bam! 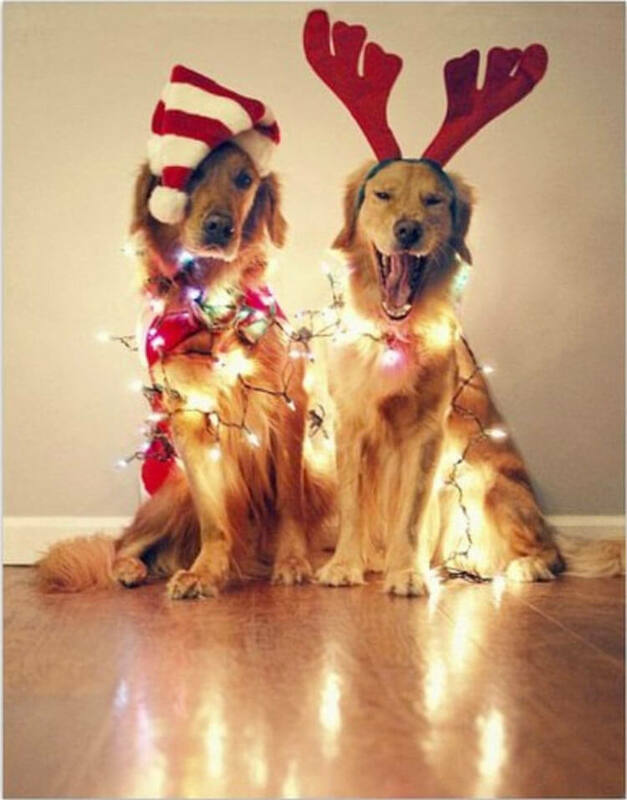 Your Christmas card is complete! If you’re struggling to pick the best photo, why not pick a selection and create a little set of cards to enjoy? We’re sure this charismatic couple would love more time in front of the camera! Cards aren’t the only things on customers’ minds these days. With New Year hot on the heels of Christmas, calendars are getting popular too. 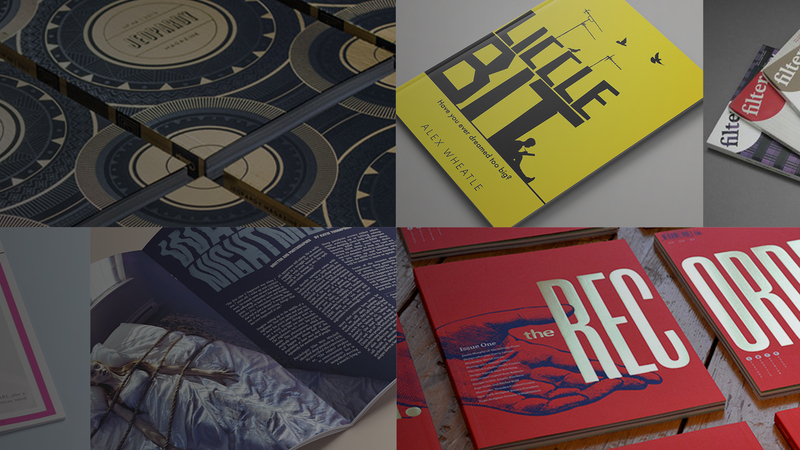 Take a look at some of our favourite calendar designs and get some ideas of your own!